By the power of the duck! 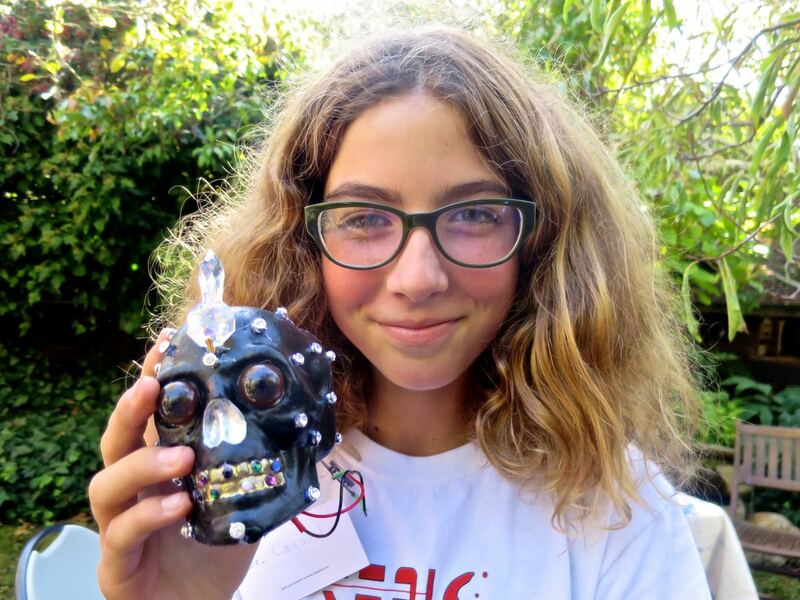 Docteur Canard, the youngest member of ‘Pataphysical Studios, is now a regular contributor to this art club, where she is creating an interactive skull with X-ray vision. As a gift for for Docteur Fabio’s 60th birthday, she wrote this poem about why she keeps coming back. As you enter, gods and demons stare down at you. Pataphysicists are the makers of dreams, and the future rests in their hands. Golden question marks show the end of the unknown question. The Pataphysical Slot Machine is a place of art, laughter and imagination. Singing flowers, the Devil, a skull with flashing eyes, the hand with the All Seeing Eye. Always in the process, never done. Two yipping, barking explosions of joy and energy, both worth twice as much as 1,000 pearls. You can be anything you want to be, do anything you want to do, nothing is impossible here. What do you want to know? UBU can see your future, and he will tell you. Hidden away, a small miracle in the vast and troubled earth, a place of gods. This is Really and Truly the most Fabulous place in the world, where Figurines come alive and Canards call from every corner. A place filled with Pizzazz, where the Day never ends, and Tout d’ Suite the Rind of your Brain is being Flashed with ideas you once thought impossible.The science and art of imaginary solutions. This entry was posted in Pataphysical and tagged pataphysics, poem on October 15, 2015 by Fabrice Florin.